Course Objective: The objective of this course is to provide certified participants with a review and application practice of the BACB's Professional and Ethical Compliance Code and their responsibility to clients. Completion Requirements: Study all provided learning materials (Powerpoint presentation, short animated videos, sample documents, case studies...etc), pass short quizzes for each topic section, and complete the course survey. Course Objective: The objective of this course is to provide certified participants with training on how to Child Enrichment Center uses for their 2-5 year Preschool Day Treatment program for children with autism. BCBAs will learn how to use our programs and adapt them to meet a child's individual needs and strengths. Completion Requirements: Study all provided learning materials which include PowerPoint presentation instruction, video models of programs and targets, and written skill acquisition plans. Pass a quiz after each topic (total of 6) and a final test and complete the course survey. 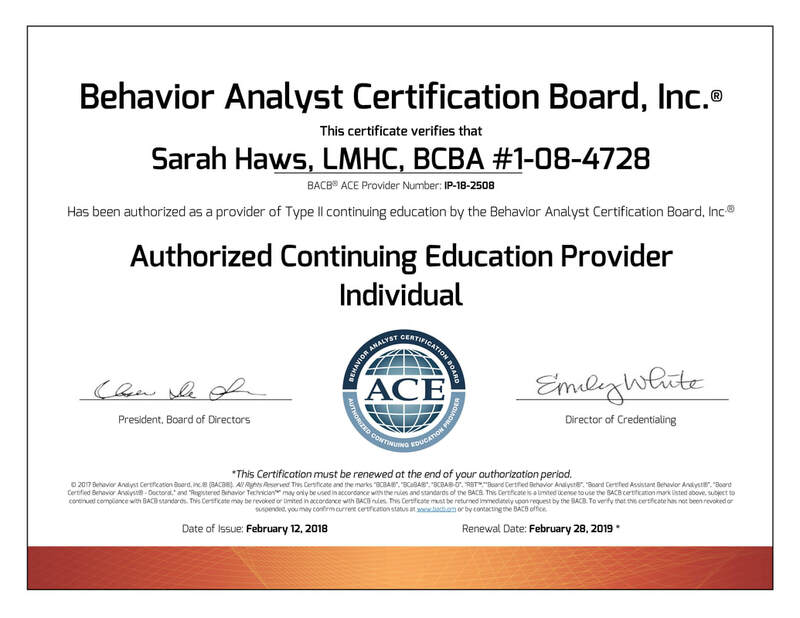 Course Objective: To provide newly certified and intermediate certified behavior analysts a review and application practice of the BACB's Professional and Ethical Compliance Code and Behavior-Change Programs. Completion Requirements: View powerpoint presentation including videos and sample documents), pass the quiz, and complete the course survey.